The intro of a Vogue travel article about Kansas City didn’t welcome readers to the city with a witty or inspiring cultural reference. “There’s a chance that you’re not entirely sure where Kansas City is.” The lede wasn’t, unfortunately, meant in jest. The problem locating K.C. is apparently so difficult that the writer assumed Vogue’s readers had an issue pinpointing a city that also bears the name of a state. But the wound cut from that lede was deeper, yet jarringly unassuming to the writer who crafted it. Maybe because her ignorance of large Midwestern cities wasn’t rooted simply in geographic ignorance, but instead reflected the cultural classism the media is drowning in today. On the other side of the state of Missouri exists another kind of emptiness, a gutted landscape and bare space that unassumingly represents common ground with young New York writers sitting in the offices of influential publications. Fenton, MO is where Chrysler once flourished and provided ‘good jobs’ and unions bargained for the middle class. But it’s the union—the power of it—that serves the shared link and the bridge between the coastal media, the Midwestern towns and each individual that is fighting for a living wage. The writers, the auto workers, the teachers, the plumbers. The white collar, the blue collar. The college-educated. The privileged. The poor. Because et the end of the day nobody cares about the color of your collar. No matter what bootstraps you’re pulling up, or leather wingtips you shine, everyone is trying to walk that road paved with gold to consistent employment with healthcare and a 401k. Those good jobs for Chrysler are gone in Fenton just as jobs in media have been eviscerated, too. Yet, commonalities exist even in spaces that are unconnected; the color of pajamas worn while job hunting after a layoff is no more important than the shirt hue worn on the job. Pajamas are pajamas. Shirts are just shirts. Now a sprawling empty field in Fenton serves as a grim reminder of lost jobs and a significantly changed economic landscape. Where that field now lays bare, two busy and prosperous Chrysler plants once stood. When Chrysler pursued Chapter 11 bankruptcy back in 2009, the Fenton plants were slated for closure. Thousands of workers lost their jobs, but many accepted the pain with a slight cushion—severance and/or retirement packages. The empty landscape was hard to miss for St. Louis commuters who grew accustomed to passing by the Interstate 44 landmark that was the bustling Chrysler plant. But, eventually, grass grew where automobiles were once assembled. Not far from the Chrysler plants was a union hall that housed UAW Local 136. Today, like the empty field, the hall has been transformed. What once served as a gathering place for those who worked nearby eventually became the headquarters for a local non-profit. History unfortunately always repeats itself. And as Fenton’s factories once fell, other good jobs for the auto industry are also in question. Currently, the UAW is in a legal battle with General Motors regarding the fate of three plants—and nearly 2,000 jobs. Because the more things change, the more they stay the same. Those who hold tight to a class division are helping to rip the seams. This isn’t a class struggle anymore. It’s everyone’s struggle. A financial struggle and a fight for an American dream that is morphing into a nightmare. While UAW’s membership represents hundreds of thousands of workers, it isn’t the largest in the country. That designation goes to the National Education Association of the United States, which represents millions of teachers and educators across the country. While teachers and factory workers may face different workforce issues, they share the same solidarity, the same collective voice and, often, fight to save the same middle class stronghold. But it’s the middle-class lifestyle, the stronghold, the livelihood, that is slowly falling apart. While auto workers fight to keep plants open and their jobs intact, teachers across the country have fought continuously for job security and reasonable wages. In Oklahoma, teachers shared images of broken chairs to illustrate the severity of funding issues and why they were walking out in protest. In April 2018, teachers across the state participated in a nine-day protest related to state funding. The walkout didn’t generate the necessary funding, but it did have a legislative impact. The response? A 2019 proposed bill that would strip a teacher’s certification if they participated in a walk out (teachers in Oklahoma also cannot legally strike). As the old saying goes—one step forward and several steps backwards, out the door, and jobless. But some agreements can’t be reached. As the union collective has helped change aspects of many industries for the better, there is a movement far bigger that may slowly encroach on the union influence. An article for The Atlantic titled “The Servant Economy” discussed how the growth and success of businesses like Uber, Lyft, Grubhub, Instacart, Waitr and so many others have transformed macro sectors of employment into a micro-focused freelancer economy. A decade ago, New Yorkers hailed a taxi to take them across town, but now Uber and Lyft drivers can be summoned with the tap of a finger. The effects of the wave of freelance workers have reverberated across industries. Taxi drivers are now flooded with competition. Their businesses have been a casualty of the perma-lancer. The freelance driver. The contract worker. The result of these growing new opportunities isn’t just lost wages, but, allegedly, even lost lives. The New York Taxi Workers Alliance—the union for local drivers—issued a statement against Uber for challenging New York laws that would limit ‘for hire’ vehicles. The freelance economy is perhaps slowly dismantling the power of the collective, and unions also are being challenged by “right to work.” This is the idea that in any industry, union membership should be voluntary. You shouldn’t be forced to join a union. You can be your own voice. Argue and fight for your own wage increases. You have the right to work without being forced to pay union dues. The David and Goliath of fights is the individual versus the corporate collective. And this fight is pervasive in the ‘gig’ freelancer business model—the very model that has taken over many industry jobs and has become common in the digital media landscape. While media unions aren’t new, they are multiplying. And digital media is quickly becoming a unionized front. In recent years, journalists have felt the sting of layoffs. Maybe ‘sting’ is putting it a little too lightly, though, because sting inflicts a minor pain. Sting is the lie pediatric nurses tell when giving a shot to a child… “it will only hurt like a bee sting.” Journalism, it seems, felt the full stab of the needle. And it hurt. The layoffs were off the pain chart. Thousands lost their jobs. Editors, writers, producers. But the job cuts have been hitting hard for years. According to Pew Research, the journalism industry lost 27,000 jobs during the past decade (2008-2017). This year already kicked off, literally, with over 2,400 media jobs being cut in 2019 and the numbers are still rolling. Buzzfeed laid off 15 percent, Vice cut 10 percent, and Verizon (which owns HuffPost, Yahoo, and AOL) said goodbye to 7 percent, of entire staffs. So like the phoenix before them, new unions started rising up out of the ashes of the digital apocalypse. Back in 2015, Gawker Media was the first digital to unionize, Jason Gordon, with The Writer’s Guild of America, East, stated in an email. Since then, though, 17 digital sites have unionized. Gordon stated in an email that the sites include: Vox Media, VICE, HuffPost, Refinery29, Onion Inc., Thrillist, The Dodo, The Intercept, CBSN, ThinkProgress, MTV News, Salon, Slate, Talking Points Memo, Future plc, Fast Company, and Gizmodo Media Group (which was formerly Gawker). So why are journalists unionizing in massive numbers? Like auto workers, pipe fitters, carpenters, electricians, teachers, and every other trade represented by unions, digital journalists are unionizing for the power that comes when you’ll never walk alone. Pensions are negotiated through unions. Benefits, too. But in the digital world, bargaining power also means the hope of winning the game for something that no one ever wants to think about: severance packages. A few savvy sites like Out Magazine and Interview found a loophole: close shop for a few months, default on payroll payments, and declare bankruptcy. When the smoke cleared, they reopened again hiring a whole new staff (at significantly lower compensation) and leaving the unpaid salaries of their now former employees to float into the ether. No severance in sight. And then there are those who took the true path to media hell (for example Mic and The Outline) by laying off all of their editorial staff and selling both their souls and their media brands to places like Bustle or Digital First Media, whose business strategy is to buy websites on the cheap and turn them into content farms, you know, those websites that have writers churning out 13-14 posts a day, mostly of sponsored content for their advertisers. A severance package isn’t necessarily a guarantee when layoffs hit. And many journalists were hit with two blows in those fateful meetings with HR: a job loss and a financial crisis. They weren’t even graced with being fired by George Clooney off a Jason Reitman script. So while many corporate CEOs receive severance packages so large that they become ‘golden parachutes,’ the severance packages for many in media were often parachutes riddled with holes and set on fire. Some received paltry packages, others failed to receive accrued paid time off (PTO). Some didn’t get a parachute at all and hoped to fall with style somewhere soft. But creative unions are anything but powerless when they really behave as labor collectives standing up to corporate powers. In fact, Hollywood entertainment industry writers (WGA), actors SAG-AFTRA, and directors (DGA) are powerhouse labor unions today. The difference between these Hollywood legacies and those new media unions is that they actually go on strike. 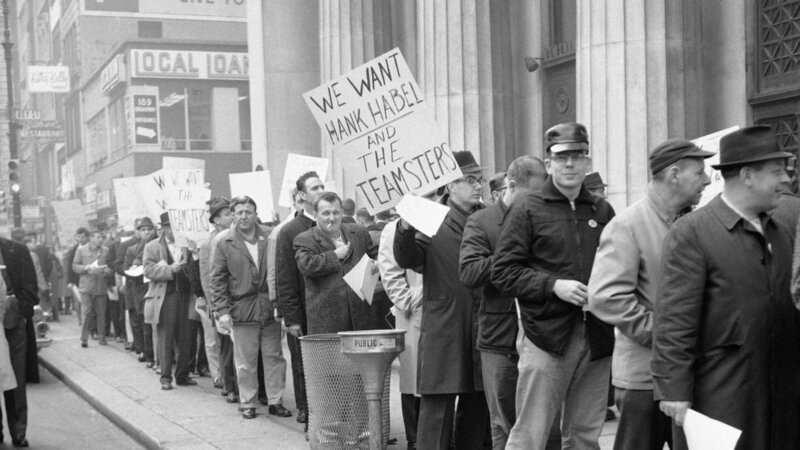 The WGA has gone on strike in '60, '81, '85, '88, '07 and now this year, they are attempting to reshape the entertainment industry by taking power away from Agencies and back into writer's hands. These guilds were founded in the thirties and fifties; SAG formed to fight back against the studio system to give actors freedom from being forced into multi-year contracts. Cut to today with the "We Stand with the WGA" movement fighting back against agencies' conflicts of interest. What's at stake? Just proper treatment to labor union workers and your favorite weekend streaming binge. But the shift in on and offline journalistic media and magazines from staffs of permanent writers to an ever-changing roll call of freelance writers and contributors also has set an economic standard in the industry that’s been bleeding jobs. Many digital mastheads use freelance writers for their bread and butter daily content. And, for contract writers, this creates an amazing number of opportunities. For those who desire a staff position, a salaried position, a seat at the table that is fixed instead of fleeting, though, gig journalism has become yet another obstacle to overcome. But even landing a coveted staff position doesn’t always mean a better situation. But the collective bargaining power of a union cannot—and perhaps, should not—be an underestimated gift during a time of digital uncertainty. Contract negotiations through unions often help provide the hope of a severance package in the case of layoffs. And the collective bargaining power behind unions can help members negotiate other provisions as well. “The collective bargaining agreements we’ve secured in digital media include many gains that have helped writers build sustainable careers in a volatile industry; from increasing salary minimums to a living wage and workplace protections like just cause and severance, to landmark diversity provisions that mandate companies interview at least two people from diverse backgrounds for job openings,” Gordon stated in an email. While union membership can help members negotiate better wages, working conditions, and other contractual issues, the union isn’t—and can’t be—complete insulation from the industry’s chaos. Members of multiple digital media unions were casualties of the most recent mass layoffs that hit the industry. Many of them took to social media after the news. In tweets riddled with HR horror stories and mixed emotions about the layoffs, there were also many messages expressing gratitude for their unions that helped make the devastation less—well—devastating. As the industry recovers from the latest blow of job losses, though, the question of what’s next—or who’s next—is digital’s most pervasive silent scream. Not every digital journalist has joined a union. Not everyone will. But union or not, the gnawing worry of job insecurity and that dreaded HR meeting are the shared fears that no one needs to openly express. And just as trade unions formed to help give workers a collective voice, more digital unions will rise to help give power to journalists who demand to be heard through the corporate noise including the death rattle of digital: “pivot to video.” In an industry where the news cycle changes minute-to-minute, anything can happen. Yet, journalists have always wielded a power that is perhaps greater than a union: the written word. And while unionizing provides a collective voice for journalists, a power in numbers, perhaps their greatest weapon isn’t about unionizing at all. But rather showing solidarity across the board. Conditions don’t change until they do. Until everyone wants them to change. Every digital can unionize. But if writers (freelancers, especially) choose to work the line in fast food journalism and live by the motto to serve it up quick for the hungry reader, make it snacky, and do it all for a dollar menu price, nothing will change. Nothing can change. And this is why the gig market is so problematic. When the bar is lowered for some, it eventually lowers for all. Unions provide a louder voice, a collective voice for workers in so many different industries. Yet the role they play isn’t always the same. Writers have a unique privilege, because unlike a factory worker who may never be able to secure another decent job in the automobile industry, journalists have the power to write for someone else. Somewhere else. Until, of course, they don’t. Because no matter how hard unions may push in the digital universe, everyone has to push for the change. Solidarity is vital in the digital landscape. Freelancers are witnessing the competition become even tighter as layoffs have pushed many salaried writers and editors into the contractor pool. While untethered freelancers typically have no single allegiance, they also can’t turn a blind eye to the uncertainty. There are no picket lines drawn in digital right now, but that doesn’t mean that it won’t happen. And if the line is drawn, who will be willing to cross it? Unions know that the line stays firm. No one crosses. Digital has become unionized, and each new union is bound by a shared solidarity. But ultimately everyone in the industry should be bound by the same unspoken understanding of this solidarity. Because every shuttered site, every HR meeting, every wound cut into not just the media industry but every industry reverberates. No one can look away. No one should. Because no one knows what’s next. Or who will be part of the next round of layoffs, sent home to job hunt in pajamas.